Uncle Tim's standard Pentatonic Scales will open the world of lead guitar for rock music to anyone who uses this eBook. Standard pentatonic scales are the backbone of rock lead guitar and their uses are almost plentiful as the music using them. 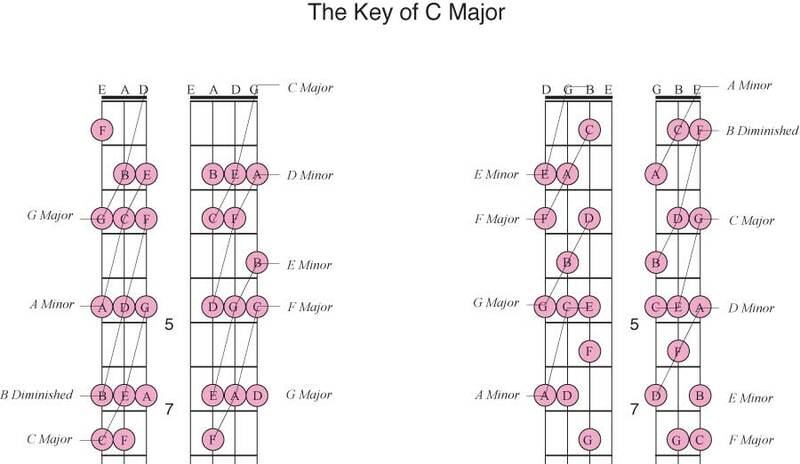 These pentatonic scales are derived from diatonic scales and are exactly the same except for the deletion of the fourth and seventh degree of the major diatonic scale. The result is a five note scale that is suitable for soloing over diatonic chords which is how they are mostly used. 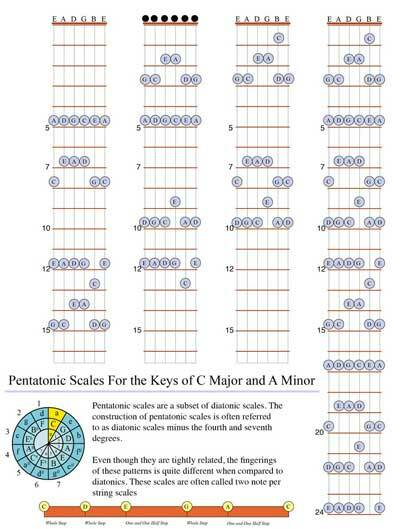 These scales are built on the standard formula for pentatonic scales. The interesting fact of pentatonic scales that allow them to work over such as variety of musical material is the spacing of the notes. The spacing is such that even a scale run without alteration will fit nicely over basic chords. Each note is at least a whole step apart and sometimes a step and a half. This kind of interval makes a scale run resemble a lead statement because the notes are so far apart. You cannot do this with a diatonic scale and get nearly the same results. Ad when you take the time to really work with the scales, beautiful melody lines are within the reach of the budding guitarist. So this make the pentatonic scales a logical place to try your hand at lead guitar solos. 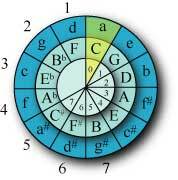 But comparing the Diatonic and Pentatonic signatures you can open up an entire new level of theoretical thinking. Being able to look at key wide expression at a glance allows for a deeper understanding with greater uses at your fingertips. Visual pictures like this are easy, fast and complete. You can even reference these graphics in the middle of a song and then get right back to work. This visual framework work! Remember that in Uncle Tim's Diatonic Triads we are going to take this diatonic twelve fret signature and split in into four three string sets and start pulling out the chord progressions in the diatonic minor key. These are the standard triads used to build songs in western keys. They set the stage for someone to play lead lines using pentatonic scales over chord progressions created out of diatonic keys. This is one of the most common variants found in musical circles for song creation today. You could call this the standard palette. Combine diatonic chords with pentatonic scales in and diatonic scales and you have a full set of tools for song creation.